Hello Crafty Friends! 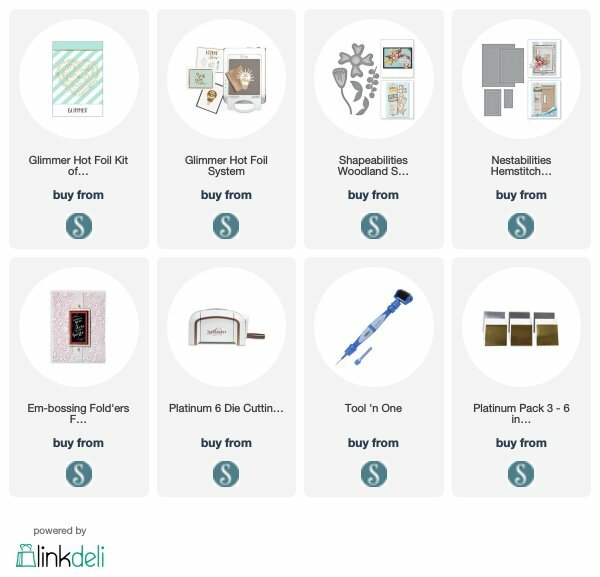 Today I am sharing 2 projects with the New Feb 2019 Glimmer Hot Foil Club of the Month Kit:) If you are a Glimmer kit subscriber you will love this month’s kit!! This month comes with 8 Sentiment dies in a block font, 2 sentiment strip dies and beautiful Gold Glimmer Foil:) I am so excited about these sentiment plates!! Now I can coordinate my sentimnets with my background Glimmer Plates!! Makes creating beautiful and elegant cards super easy, Yay!! Tina – I so enjoy your posts and videos. Your approach to card composition really inspires me. Thanks for taking the time to share. I was wondering if you would tell me what weight/type cardstock you find gives you the best result with your Glimmer system. I have been experimenting with mine and just can’t quite seem to get the clear, crisp results you are showing, despite following the instructions from Spellbinders. Thanks! !